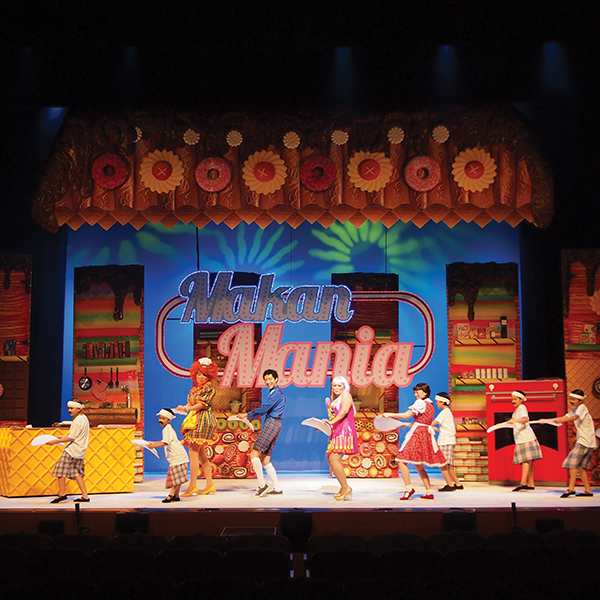 The set design for this seven-scene pantomime musical incorporated the use of periaktoi doors from the Shakespearean times. Design is one of the primary instruments used for introducing innovation and uniqueness to ideas, even if they are as common as the story of Hansel and Gretel. 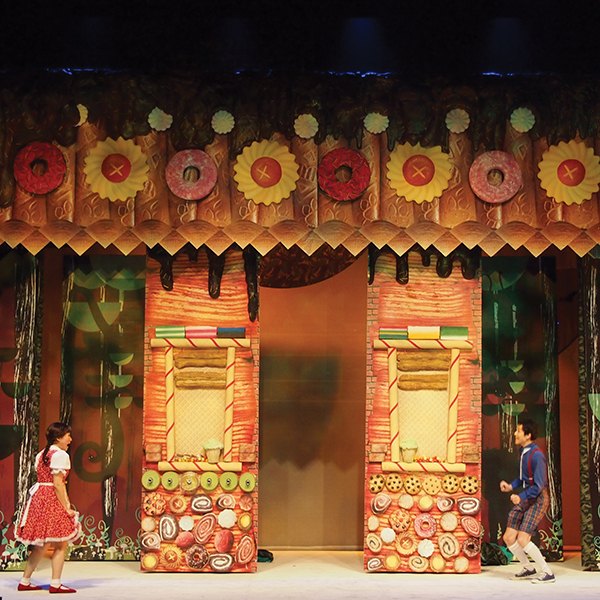 The set design for this seven-scene pantomime musical incorporated the use of periaktoi doors from the Shakespearean times. 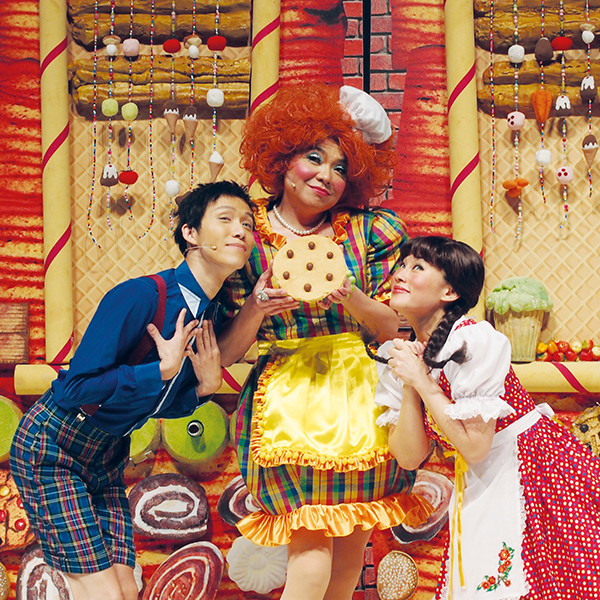 From the vibrant forest trail to the candy house made entirely of pandan cake, every aspect of the design aimed to enhance the contemporaneity of the play and jubilance of the show.